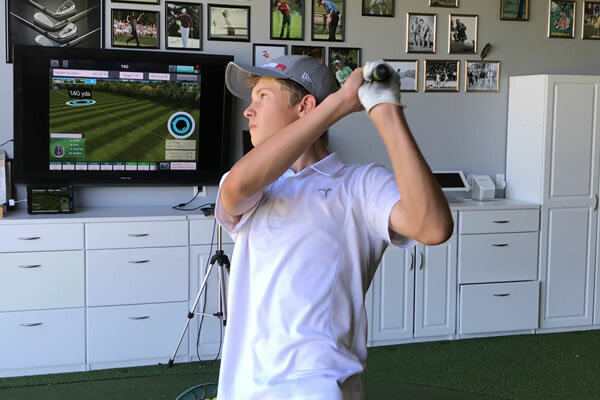 Advance Training Camp is a 40 hour a week professional golf training program for serious junior golfers looking to gain the advantage on their opponents. Juniors from all around the world attend Premier Golf Academy’s Advanced Training Camps because they want to train with other juniors who aspire to be great and work with a team who has trained and developed some of the best juniors and professionals in the game. Containing all the components and advance training and practice methods of our Full-Time Junior Program, Advance Training Camps at the Premier Golf Academy allow students to experience what it’s like to train in our Full-Time Junior Program. Full-Time Junior Program. Once students arrive, they are evaluated individually, allowing us to create a one of a kind training plan for each student. Within a small group setting, students train, working through their development plans with the PGA team on a daily basis. Students also receive weekly evaluations and one on one instruction time each week in our high tech center. Tournament participation is available weekly for your junior to improve their competitive skills, earn valuable points, and get college coach connections. Tournament camps are 2 week programs that include 1 tournament entry per camp. Our training follows a progress training model. Each week you stay builds on the previous weeks training ensuring maximum improvement. The longer you stay in the program the greater the result. 1 Week School – Students adjust to new training schedule; get comfortable with our training system, and processing information. 3 to 5 Week School – Students start to show real improvement. They have a good understanding of the processes and new techniques and skills they have learned. 5 to 7 Week School – Students are developing great confidence in their learning and performance. They notice measurable improvement, strength, agility, focus, and golf ability. 7 to 10 Week School – Students develop an understanding of what it is like to train like a champion full time. Skills, techniques, and training methods become instinctual allowing student to perform new motions naturally.